Nowadays, there is a very wide range of computer be they desktop or laptop ones, cameras, scanners and many other devices, both stand-alone and peripherals. Because there are differences even for the same type of products, from one manufacturer to another, each having its own hardware and software requirements and features, an online technical support service is more than welcome, when trying to provide fast and reliable advice for the users of all those above. Another reason why this support service would be very appreciated by the end users of all software and hardware is that the technologies develop faster than the user manages to adapt to them. There are a lot of things to be known before using some of these tools, as well as a lot to know while using them. One can come across situations which he doesn’t know how to deal with and the chance to contact an online support service can be just what he needs to overcome those situations. Some of the issues we encounter while using electronic products in our homes need the presence of a specialized technician. However, this is not always the case and we should be aware of the online resources that help us to mend whatever we need mended, in order not to pay a lot of money for the visits of specially trained personnel. Software updates, application settings, application installs, file tidying in our computers and many others are some of these scenarios. 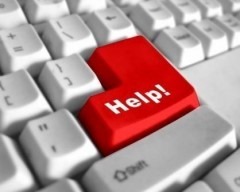 Because our computers and there peripherals can be accessed remotely, from computers in the online tech support service companies, this makes it very easy for somebody to connect to our IT gear and do whatever can be done to restore everything to normality or as close it can get to that. It is a very efficient way of cutting down costs, both money and time, for the home users, as well as for those who provide this kind of support. For the users that earn their living by working on computer, be it at home or in an office, broken applications or other technical issues prevent them from doing their job properly or at all. That’s why online assistance would be priceless for them, actually having good chances to get things fixed in a rather short time, due to the internet and sub-networks, which make the online access possible. Besides the online assistance these companies can provide, they also provide forums, knowledge bases and FAQs that teach us how to deal with future problems.